Living Autism through my son. There is a lot of talks and confusion about how many vaccinations are recommended by the Center for Disease Control (CDC) and when they are required in the United States of America. 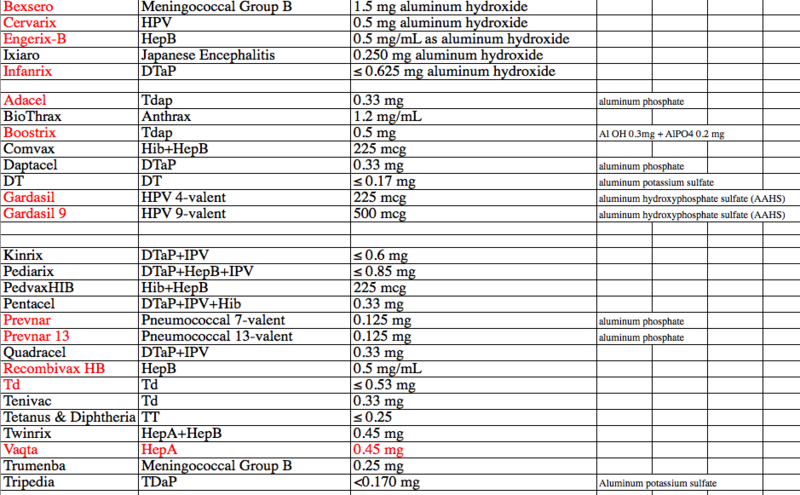 The chart following my simple text example shows you the CDC vaccine schedule and I’ve also broken them down (in simple text) by year. Questions go around asking “how many vaccinations are there?” This is tough because some at one vaccination “shot” that actually contain multiple vaccinations. Confused yet? *Note* I am personally bothered by the vaccines and the adjuvants/metals being injected in pregnancy as the baby is not developed and studies have shown how metals and glyphosate stimulate and activate macrophages in the brain prematurely. There is an underdeveloped blood-brain barrier in an unborn child and sadly it is my conclusion that the damage starts in utero. **Note** I have a vaccine-injured child, have been through the Vaccine Court and am recovering a very toxic metal overload from him. Jaded? Maybe a bit, however, I wish I’d known all this information before he was born to make an informed decision and had spaced them out further. Your total is 75 doses/boosters. What’s the overall toxic load of the entire schedule? I was born back in the 1970’s and was not able to find the CDC schedule from that time, but I was able to get a screenshot from an archived CDC page in 1995. See a difference here? Call me a skeptic or a conspiracy theorist, doesn’t bother me since the data does not lie. Aside from the facts of our foods available, how they are grown and littered with herbicides like glyphosate (shown to mimic glycine in the brain, clogs the liver and kills flora in the gut) and processed to all hell, there is little defense for a healthy lifestyle. It’s an expensive challenge in education and acquiring fresh, true-organic non-GMO foods. Let’s not even get into the modified, damaged DNA that has been passed down over the years. My son, myself have the “Agent Orange” gene, modified from my father’s exposure to the herbicide/poison in Vietnam in the late 1960’s. Think you are done once you get to your teens? Nope – the CDC wants you to remain protected and safe. 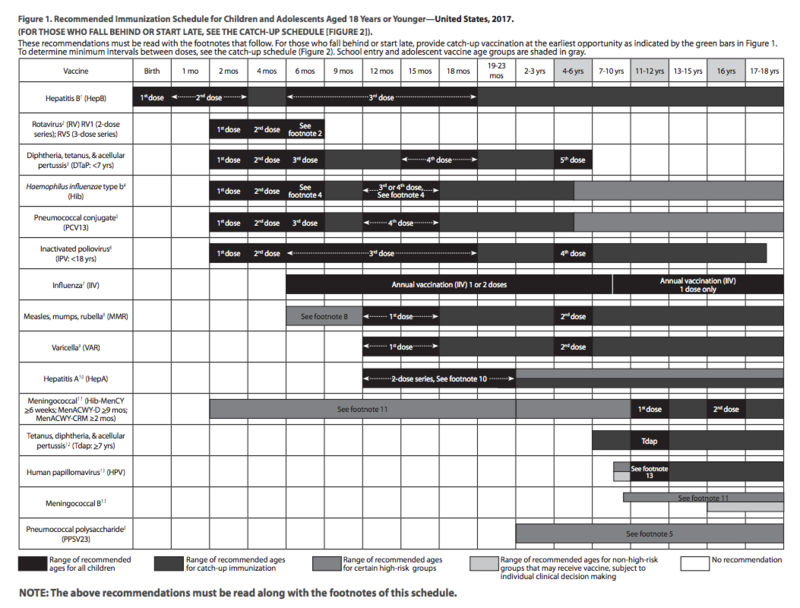 Here is a link to the full CDC adult vaccination schedule. Want to learn more about the vaccines you need? Use the Adult Immunization Vaccine Finder to receive personalized vaccine recommendations based on your age, health status, location and other factors. 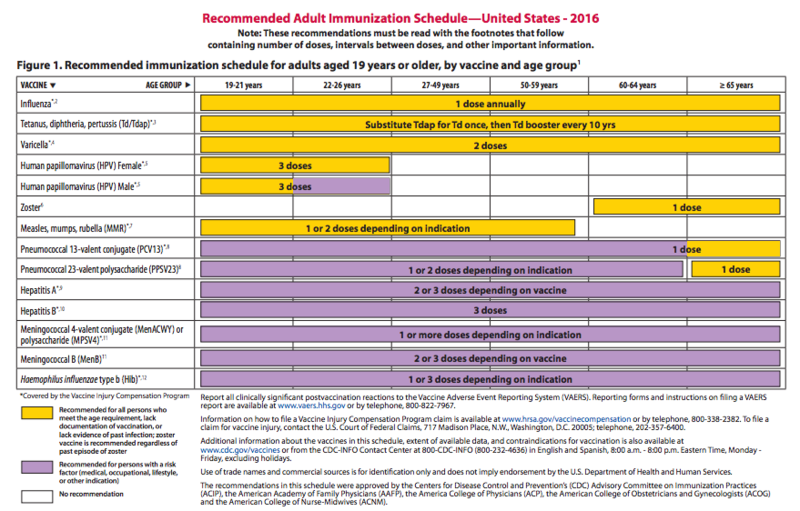 You can also review the Adult Immunization Schedule to see which vaccines you may need. Don’t forget if you are traveling, you may need additional vaccines. See the travelers’ health page. Talk to your healthcare professional about making sure you have all the vaccines you need to protect your health. Credits: There are many that I collaborate with that won't be named in specific. The following post was inspired by recent conversations and I thank them all for validation on the data.